To view the Fraser Academy Dress Code, click here. We are happy to work with two uniform suppliers to provide quality uniform items that our students feel proud to wear. Orders are delivered direct to your home. 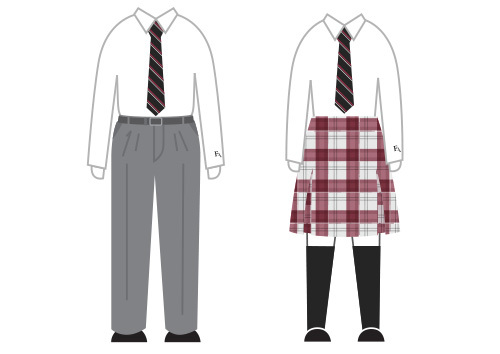 You may order School Uniform items at any time throughout the year. Order by June 30th to receive your order before the start of school. If you do not know the size to order for your child, you are welcome to contact Top Marks and provide measurements. For any questions regarding School Uniform orders, please contact the Top Marks Customer Service Department at 1-800-667-7105 (Monday to Friday, 6:00am – 2:00pm) or email info@topmarks.ca. 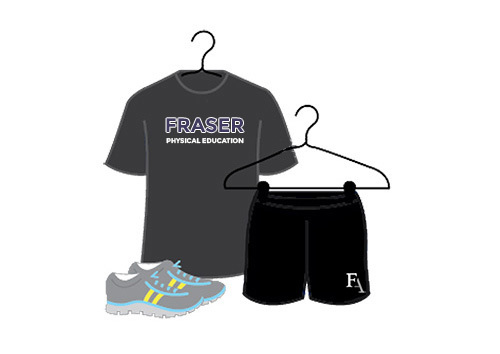 The PE Store is open twice a year (summer & winter) and orders are delivered to the school. PE Uniforms will be distributed in PE Class in the 1st week of school. Note: There are no exchanges on PE Uniform or Spirit Wear items. Please attend a fitting session prior to placing an order.